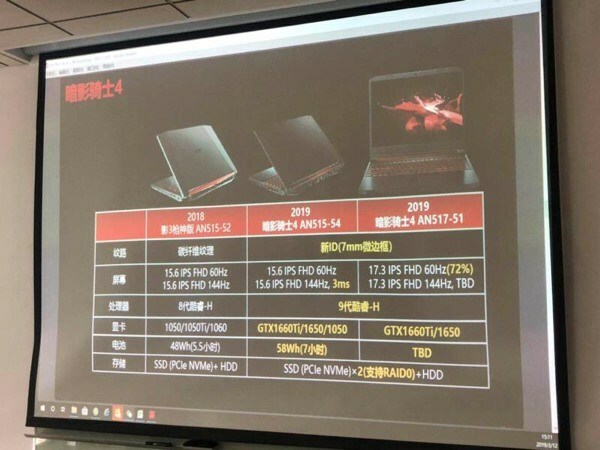 Acer is preparing new NITRO notebook series based on 9th Gen Coffee-Lake-H series. Alongside new CPUs, Acer will also equip upcoming laptops with GeForce GTX 16 Turing series, featuring GTX 1660 Ti and GTX 1650 graphics cards. 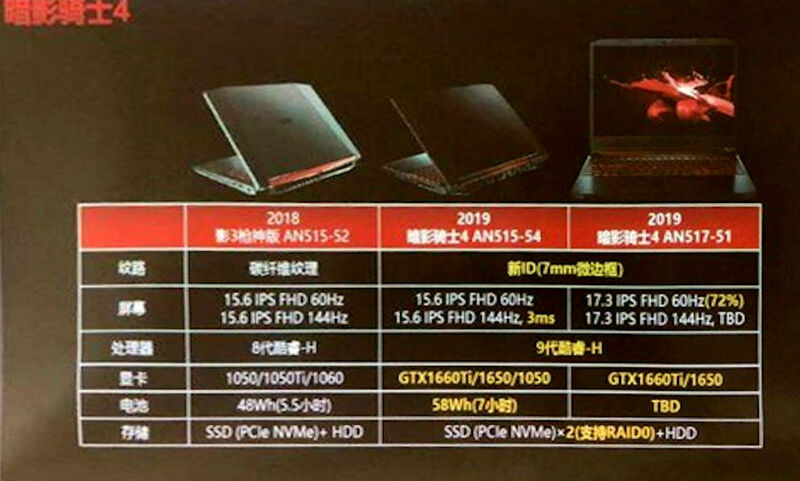 The latter SKU has not yet been officially confirmed by NVIDIA, even for the desktop platform. The GTX 1650 is rumored to utilize TU117 graphics processor. It will be paired with 4GB GDDR5 memory across the 128-bit interface. We expect to hear more about the new card in the coming weeks, as the desktop variant is currently scheduled to launch on April 22nd. The mobile variant is likely to be unveiled at the same time as 9th CoffeeLake-H platform.